Engagement is a GREAT thing, and you can see it all over these faces! Don’t you just love that little smile on Emily’s face? 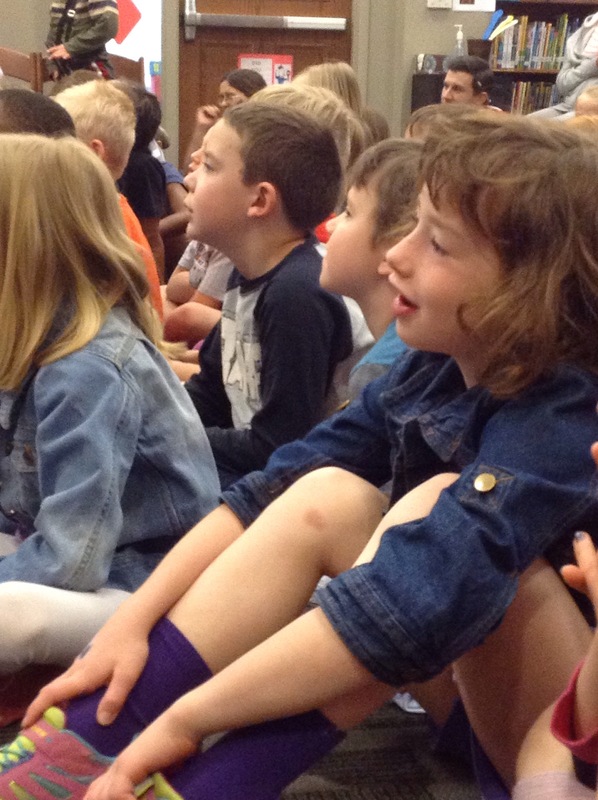 We thoroughly enjoyed the stories we heard as part of the Storytelling Festival today! Look at those proud smiles! 🙂 You did it! Then there’s the Science Fair. 🙂 Lauren and Millie worked together (with Millie’s little sister) to create a SUPER project for the Robinson STEMfest, which then went on to the Greater StL Science Fair and got a RED RIBBON! WOOHOO!! Like Lauren’s mom said, “Red means ROCK’N! !” Way to go, girls! Posted on May 1, 2015 by Jen Bearden	• This entry was posted in Classroom, First Grade, Play, Reading, Science and tagged engagement, first grade, fun, pictureoftheday, science. Bookmark the permalink.